Welcome to Arielle and Scott S. (yes, ANOTHER Scott!)! Fran Finals are a week away! Saturday, July 28 marks the end of our Fran Challenge. 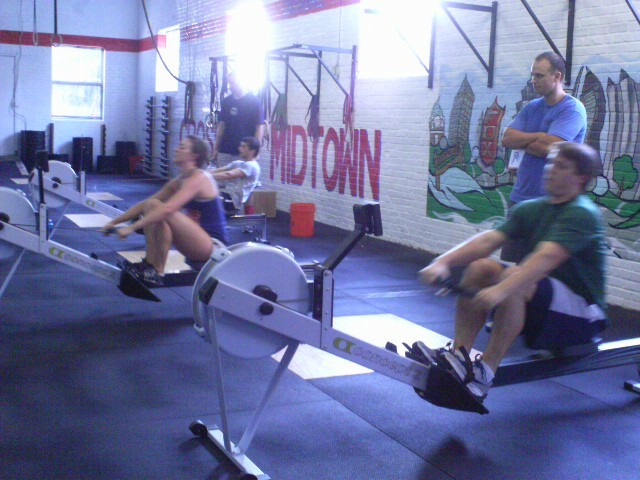 Join your fellow CFMers next weekend as we shoot to improve on our prelim Fran times. We'll have heats at 10 and 11 (warm up starts on the hour. Fran at 10:30 and 11:30). Hang around afterward for a cookout and awards ceremony (starting at noon). Can't make it Saturday? There will be one makeup heat on Wednesday, 7/25 at 7pm. Email us to confirm whether you'll DOMINATE Fran on Wed at 7, Sat at 10 or Sat at 11. Community WOD at lululemon howell mill - join Lis for a free WOD at lululemon howell mill on the last Sunday of every month. Community WODs start Sunday 7/29 at 10 am. Hydrostatic Body Composition testing - Monday 7/30, 4-7 pm, $30. Sign up for a 10-minute testing appointment at the gym or by emailing Sam. Paleo Night at Urban Pl8 - Tues, 7/31 at 8:30 pm. RSVP for dinner by emailing Sam. LADIES & GENTLEMEN! Dan the Man coaching Adam and Betsy at Fran Prelims. 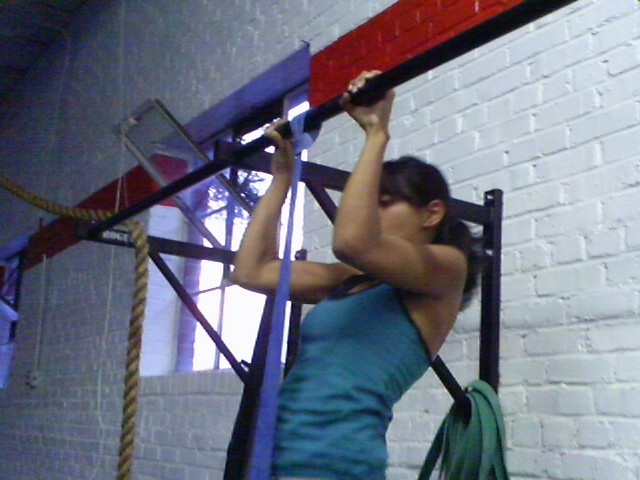 THURS 07.19.12 CF Endurance & POSE Running workshop tonight! 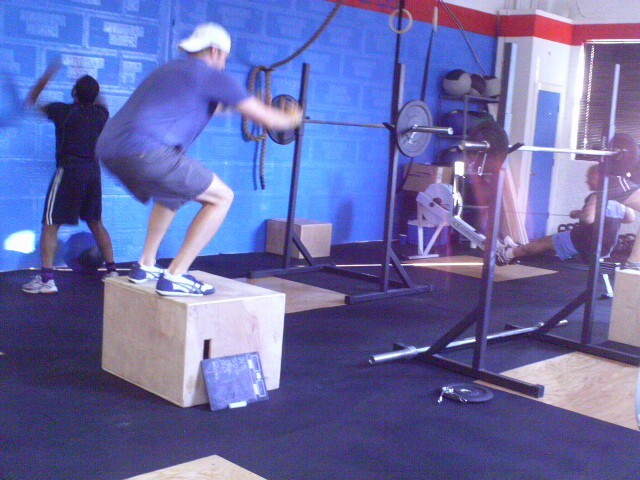 CrossFit Endurance & POSE Running workshop is tonight! 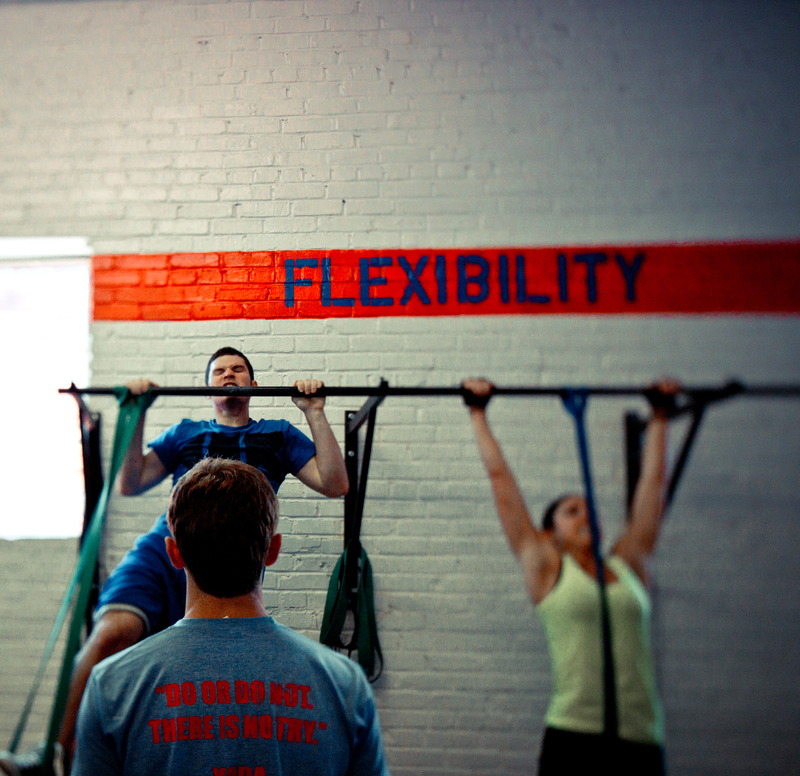 Email info@crossfitmidtown.com if you plan to attend but haven't yet RSVP'ed/paid your $25. Register here or at the gym with cash or check. Chuck A and Ro on Fight Gone Bad. Crystal building those pipes. She's developing great arm muscles since starting CrossFit! Tell us about your sports & fitness background: I've always done fitness things that are more fun than fitness - indoor rock climbing, shooting around a basketball, canoeing/kayaking, hiking, salsa dancing. This is the first time I'm making a regular commitment to working out. How did you first get exposed to CrossFit? Take us back to your first WOD... what was it, and how did it feel? I contact Lis, on recommendation by my chiropractor, Dr. Cohen, as someone who could help me get back my strength and understood past medical issues. I've had a lot of wrist pain and fatigue - Lis was my personal trainer for the first 2 months and now I have switched to the group classes. My first WOD I can't quite recall it, but I remember feeling like it was easy in the moment, but later I was definitely sore! That's when I knew I'd found a good workout. What sort of changes have you seen in your body, health and fitness since starting CF (before/after)? My arms actually have muscle on them! My calves have grown as well. The other great benefit is that I feel like I have more energy and I'm more conscious about what I eat. What sort of changes in your life have you experienced out of taking on something like CrossFit that were totally unexpected? Liking the people I work out with - I didn't realize what a community experience CrossFit is. Additionally, the nutrition advice I've gotten is really great and tailored to what I specifically need. Please share with us any favorite CrossFit / CFM moments: Doing The Wobble at the CFM grand opening party. That was great. Any advice for people just getting started? Don't be afraid to say you need to modify a workout. Everyone at CrossFit is focused on getting what they need for themselves - you don't have to compete with others and you can grow at your own pace. What are your hobbies, interests and/or talents outside of CrossFit? Lots - entrepreneurship, coaching, learning new skills, reading, writing, all the stuff I had mentioned earlier in terms of the outdoors, billiards, music. HOOVERBALL is a GO for Sunday! 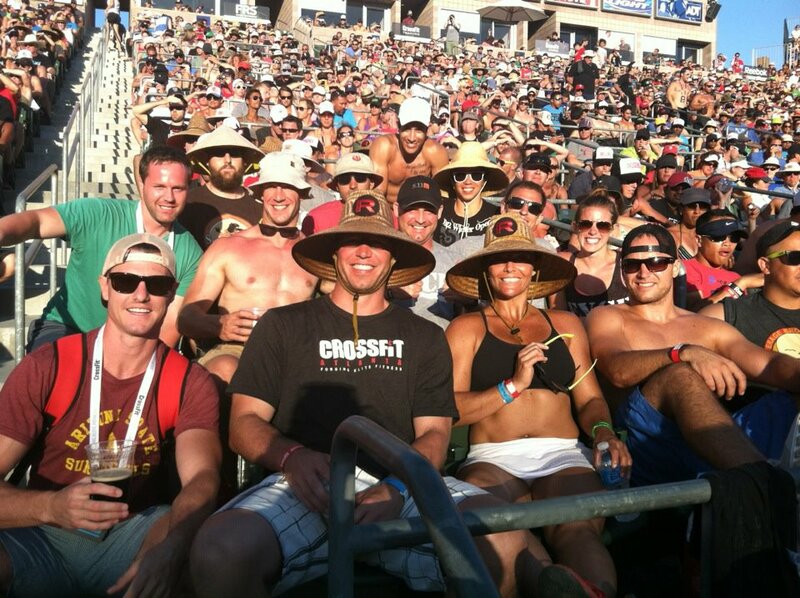 Although Hooverb-All-Stars Lis, Carlos and Fred will all be in LA at the CrossFit Games, SUNDAY HOOVERBALL MUST GO ON! Our beloved Ninjon has stepped in as captain for the week. He'll be there ready to play on Sunday at 10 am. Meet him at the Piedmont Park sand volleyball courts. Be there! In honor of this weekend's CrossFit Games AND our Fran Challenge, we're doing a workout from this year's CrossFit Open competition... Good luck! Welcome to Colman, Taylor, Dermot and Paul! 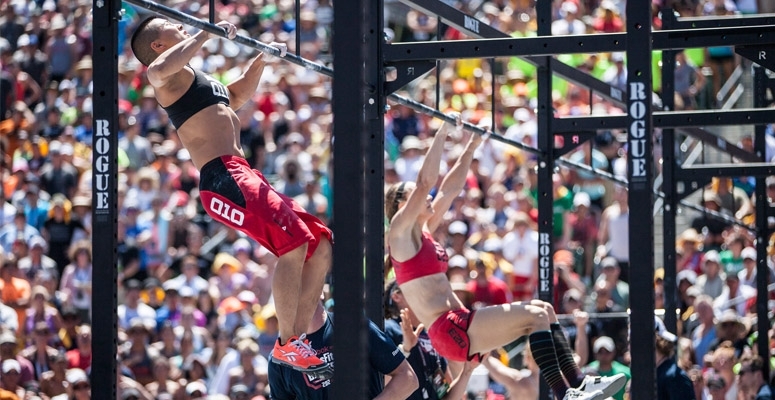 The CrossFit Games continue this weekend! Follow the world's fittest athletes here. Scott, Rachel and Geoff on Part 1 of Jackie.